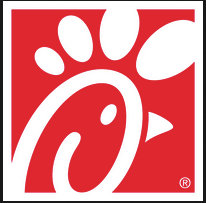 Chick-fil-A has an exciting opportunity for a Sr. Multicultural Marketing Lead. The role is based in Atlanta, Georgia. Chick-fil-A offers a strong, caring culture, the chance to work on compelling professional challenges, and opportunities for growth a candidate can own. Atlanta-based Chick-fil-A, Inc. is a family owned and privately held restaurant company founded in 1967 by S. Truett Cathy. Devoted to serving the local communities in which its franchised restaurants operate, and known for its original chicken sandwich, Chick-fil-A serves freshly prepared food in more than 2,300 restaurants in 47 states and Washington, D.C. Visit https://www.chick-fil-a.com/careers for more information.